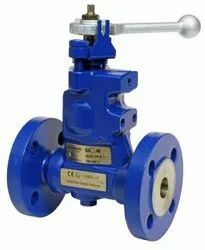 Supply & exporter providing you the best range of Industrial Valves Type IBR & Non IBR Valves such as Globe Valve, Gate Valve, Feed Check Valve, Control Valves, Safety Valves, Double Post Safety Valve with effective & timely delivery. 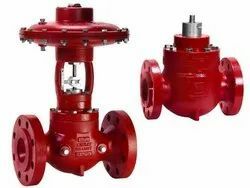 Widely praised for its quality, our enterprise is engaged in offering a vast range of Globe Valves. These Globe Valves are acknowledged for their high quality and durability, among our customers across the nation. The offered Globe Valves can be customized, as per requests of our customers, nationwide. Our Globe Valves are meticulously monitored at the time of manufacturing in order to fulfill quality norms. Our organization is engaged in manufacturing, exporting and supplying a vast range of Control Valves. This Control Valves is provided in different specifications in compliance to meet universal accepted norms. The offered valve is manufactured with advance technology & quality assured material under the direction of experts. Moreover, our valve can be taken by us within promised time-frame at reasonable rates. Blown Down Valves offered comes in precision designed and constructed finish so as to provide for optimum functional support as per the specific requirements of the involved processes. These valves find use in steam boiler plants and other places and are operated through pneumatic actuator. Some of its features include allows automated boiler blow down for avoiding boiler corrosion, cast steel based valve finish, available in multiple size options, flanged process connections as per industry standards, finding use in industry sectors like pharmaceutical, printing and dyeing and other industries.